Over 60 civil society organisations and groups of Hyderabad comprising of academics, activists, journalists, writers, poets, artists, trade and student unions, professionals and concerned citizen came together to organise a Meeting to Sign an Open Letter to The President and Prime Minister of India against the growing intolerance and violence in the country and to demand immediate condemnation and action. Prominent personalities and people from different sections of society participated in large numbers and endorsed the Open Letter. The Open Letter will be submitted to the President of India and the Prime Minister of India. Copy of the Letter and list of organizers is appended. We the Citizens of Hyderabad and of India express our deep anguish and outrage against the onslaught on liberal ethos of India through attacks and killing of writers, Muslims, Christians, Dalits, and other members of minority and marginalised communities amidst a growing atmosphere of intolerance and hate politics. We are appalled to be witness to the fringe extremes of society being allowed to occupy the center stage with impunity, issuing dictates and resorting to violence to enforce what, how and who everyone should eat, dress, write, speak to, meet, and live. We also condemn instances of intolerant responses to this growing tide of hatred that is equally undemocratic and reprehensible. The most horrifying and dangerous aspect of it all is that even some Members of Parliament, and Ministers of the Union and State Governments are engaged in intolerant and insensitive pronouncements leading to spread of intolerance and hatred. As a result, Rule of Law is being replaced by Mob Violence masquerading as instant justice evidenced in the numerous instances of attacks on people across the country on grounds of faith, caste, ideology, expression of views, and cultural practices culminating in killings and lynchings that we are afraid may soon become a norm and a daily occurrence if unchecked. It is with deep distress we note that both the President of India and the Prime Minister of India (the current custodians of the great Indian Civilization that is defined by values of inclusion and tolerance) have not directly condemned and denounced any of the acts of aggression and violence that manifest routinely in myriad forms, the lynching in Dadri and the burning alive of the two Dalit toddlers in Haryana being two of the many recent instances. In the current context, merely indirect references and general censures are an affront to our Constitutional morality and the Indian ethos of justice. In fact, such token gestures only serve to embolden the divisive forces to resort to even more violence for some narrow and immediate political gains. Continued silence and inaction or insufficient action on your part in the emerging scenario, especially by those in positions of authority, can only tear asunder the fabric of Indian society weaved together over centuries. Let us not allow ourselves to be deflected from the path of development and as a unified polity, enunciated by the Prime Minister in his opening speech in the Parliament. 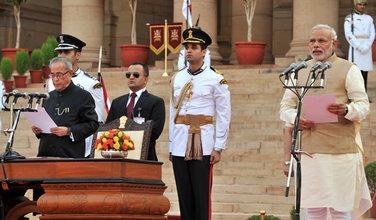 As aggrieved citizens, we demand that His Excellency the President of India and The Hon’ble Prime Minister of India immediately, unequivocally and specifically condemn the hate crimes and mob violence that have been perpetrated; designate special investigation teams and courts to bring all the culprits to book (irrespective of who they are) and ensure exemplary punishment that would deter anyone seeking to engage in violence and hate crimes. It is incumbent on every citizen of India to uphold and further the values of our Constitution and glorious civilization. As the guardians of our nation at this critical juncture in our history, your resolve is a must to prevent the degeneration that is fast seeping into the vitals of our society and help reclaim the core values essential for any civilization. What you do will determine our slide into barbarianism or our reemergence as civilized human beings. The world is watching and history will judge you by your actions today. 52. St. Vincent Nilayam, Venkatapuram, Hyderabad. 54. St. Theresa’s High School, Arul Colony, Hyderabad.